Is "grit" really the appropriate response to "coddling" in the classroom? How can students have -- or learn -- grit when all kids face different realities? In the same way that actual grit accumulates in the cracks and crevices of the landscape, our cultural insistence on possessing grit has gradually come to the forefront of child-rearing and education reform. In contrast to the range of perspectives on grit offered in academia, the popular media will often frame it as an essential characteristic for healthy, productive maturation – and certainly a necessary component for academic success. In 2012, Paul Tough’s book on the topic, “How Children Succeed: Grit, Curiosity and the Hidden Power of Character,” was a critical and commercial success, earning positive acclaim from Kirkus Reviews, The Economist, The New York Times, Slate – and even former Secretary of Education Arne Duncan. As someone who specializes in children’s literature and cultural attitudes toward childhood, I’ve been interested in this insistence on fostering grit. I’ve also taught writing and literature over the past year to West Point cadets, who, it seems, must learn how to acquire this somewhat elusive quality. But I can’t help but wonder if we’re talking about grit in an unproductive way. And maybe one of the problems is that it’s presented as a concept: abstract, indeterminate and somewhat magical or mysterious. How can we define grit, or the idea behind it, in a way that means something? What if we’re not framing the discussion of grit in the right way, since grit can mean something entirely different for a kid living in the Chicago’s South Side than it does for a kid living in the suburbs? In 2014, National Public Radio’s Tovia Smith looked at how educators and researchers are using the concept of grit in the classroom. She interviewed MacArthur Genius Grant recipient Angela Duckworth, associate professor of psychology at the University of Pennsylvania and author of “Grit: The Power of Passion and Perseverance,” which was published in May. In it, she considers how teaching grit can revolutionize students’ educational development. But more recently, Duckworth has backtracked from some of her earlier advocacy. In March she told NPR’s Anya Kamenetz that the “enthusiasm” for grit “is getting ahead of the science.” And Duckworth has since resigned from the board of a California education group that’s working to find a way to measure grit. Is grit something that can even be taught? Can we measure it? Is it a trait or a skill? If a quality like grit is a trait, then it may be genetic, which would make it difficult to simply instill in kids. If it’s a skill or habit, only then can it be coached or taught. It’s come to represent a refusal to give up, no matter the odds – a refusal to wash away, break down or completely dissolve. American children’s literature has long had “gritty” protagonists: characters who’ve arguably instilled moralistic values of bravery, industry and integrity in generations of readers. In the late 19th and early 20th centuries, another word featured in the Oxford English Dictionary’s “grit” definition figured more prominently in mainstream children’s literature – pluck. Mark Twain’s Tom Sawyer and Huck Finn both exhibited pluck, seen in their wily charm, adventurous spirit and underlying moral conscience. But the notion of pluck, grit’s forefather, was largely popularized in Horatio Alger’s stories, which are known for their hardworking young male protagonists trying to eke out livings and educate themselves within the American urban landscape. Grit goes mainstream with Charles Portis’ plucky protagonist Mattie Ross. 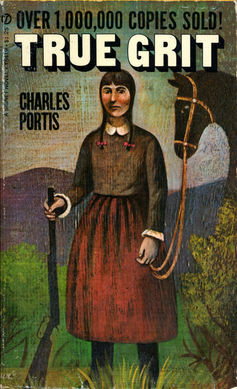 The determined, plucky child figure arguably evolved into one of grit through Mattie Ross in Charles Portis’ 1968 western novel of revenge set in the late 19th century. Mattie Ross and Horatio Alger’s clever street boys helped shape an American ideal of youthful grit. But these fictional characters asserted their grit because they had goals. What good is grit if you feel like you have nothing to strive for? In early children’s literature for African-Americans, publications such as W.E.B. Du Bois’ monthly youth magazine The Brownies’ Book attempted to also give its young readers an idea of what they could achieve. While much of American children’s literature during the turn of the last century – and even today – filters ideas of grit through the perspective of the middle-class white child, The Brownies’ Book specifically addressed the lives and experiences of African-American children. 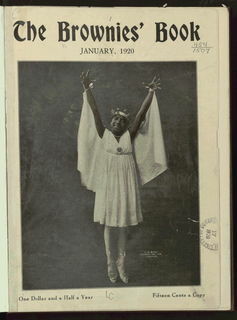 First published in 1920, the magazine encouraged African-American children to fully embrace their cultural identities, participate in their communities and become citizens of the world. The Brownies’ Book was a monthly magazine for African-American kids. But that was 1920, during the dawn of the Harlem Renaissance, a time when the work of African-American artists, activists and thinkers brought newfound optimism to the push for racial equality and cultural pride. Over the course of the 20th century, circumstances for many children of minority communities changed. As Atlantic writer Ta-Nehisi Coates has explained, a public policy of ghettoization has left many urban school districts impoverished and underserved, with few examples of hope or achievement outside the drug trade. Yes, kids could develop grit – they could find confidence, diligence and resilience outside the law – a version of grit demonized by mainstream society. David Simon’s Baltimore-set HBO series “The Wire” illustrates the narrow possibilities for black kids growing up in the city. Grit, as depicted in “The Wire,” comes via success in the drug trade. This kind of grit has the bottom line of economic gain. It’s not about a search for identity, cultural understanding or artistry because kids don’t think they have the same opportunities and potential highlighted in the issues of The Brownies’ Book. A 2014 study from the U.S. Department of Education Office for Civil Rights found that in America, there still exists a pattern of racial inequality in public schools, whether it’s course offerings, teacher performance or student expulsion. These statistics – the same as those echoed in “The Wire” – leave many somber, dejected, angry or, too often, complacent. So how can students have – or learn – grit when all kids face different realities – different struggles, different dreams and different social structures? Yes, it’s important to reevaluate the education system, as monumental a task that may be. But all institutional or systemic change starts with the individual. Maybe the first step is to think of grit not as something to cultivate in students. Instead, maybe grit is the debris – the dream – that lingers. If children and young adults get that piece of grit stuck to them, they’ll be motivated to keep going until the grit is gone. Perhaps the job of adults, then, isn’t to tell kids to buckle down and work through adversity. It’s about opening their eyes to the innumerable possibilities before them – so they’ll want to persevere in the first place. Correction: In an earlier version, the academic papers on grit were conflated with popular media coverage. A paragraph has been rearranged and a phrase added to differentiate the two.